NOGO Arts is proud to announce its inaugural production, Untether, featuring the work of seven LGBTQ identified artists over three nights at the Muriel Schulman Theater at Triskelion Arts. Co-sponsored by Triskelion Arts, Untether brings visual arts, contemporary dance, solo performance, and puppetry together to celebrate the individual free from convention and expectation. 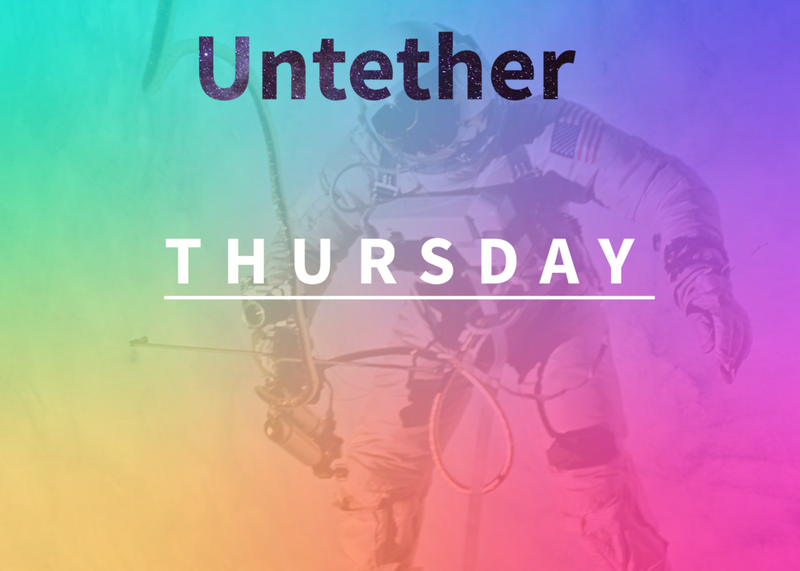 Untether releases itself from traditional presentations of work. Comic strip-memoirs are performed, puppets hold forth on life and dreams, love letters are delivered (or not), bodies are remembered, and family secrets revealed throughout the evening length performance. Every evening begins with a quartet of artists. From beyond New York, NOGO Arts welcomes choreographer Elliot Emadian (Illinois) and the comic-illustration work of Violet Austerlitz (Iowa). From the New York area, Diego Vela’s photographic collage pieces and Delaney McDonough’s new choreographic work (NYC debut) round out the front half of Untether. Friday night brings EV Fitzgerald and her panoply of puppets for Puppets. Puppets? PUPPETS!. Part story telling and part puppet confessional, Puppets. Puppets? PUPPETS! pairs Fitzgerald’s honest delivery with a mermaid, a ballerina, a bird, and a rambunctious 12 year-old to remind us how to dream and connect today.